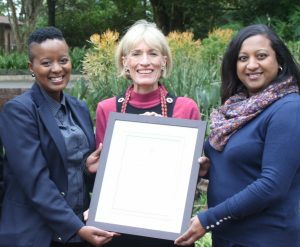 The College was honoured to receive a Certificate of Excellence from the University of Pretoria for placing in the Top 16 of all schools in South Africa, independent and state, in Mathematics and Physical Sciences in the final 2016 examinations. 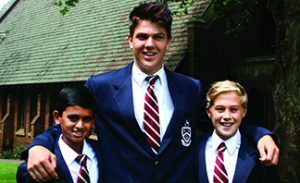 Our Maths and Science Excellence Programme has consistently placed Kearsney among the top performers in the country and we are very proud of our academic excellence. In July 2017, the Kearsney College Choir returned from the 10th Orientale Concentus International Choral Festival in Singapore with two Gold medals! The Choir won the Folklore Category with a score of 92.2 (Gold Grade 1). No other Choir earned a Grade 1 Gold in any category at the Festival. In their second category (B2 (Equal voices – Youth), the Choir finished second with a score of 81.3. This earned them a Gold (Grade III). 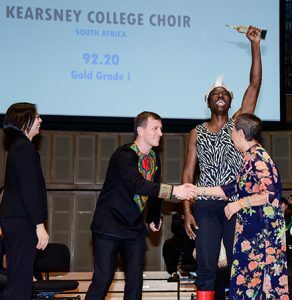 We are very proud that you kept the Kearsney Choir flag flying high, boys and staff. Read our dedicated Choir tour blog. 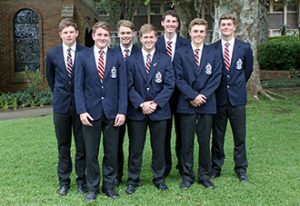 Congratulations to the five boys who were selected for KZN Water Polo across the age groups and the two boys selected as non-travelling reserves. The teams will be playing in the SA School Water polo tournament in Port Elizabeth from 08-12 December. 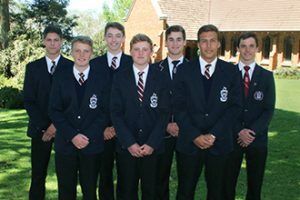 Pictured top left (L-R): Nic Baines, Wesley Marshall, Josh Muller, Taine Buys, Tyson Andrews, Luke Ambler-Smith and Oliver Kenny. We wish you all the best for the rest of the cricket season. 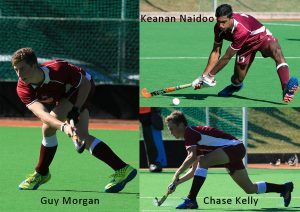 Three Kearsney hockey players were selected for SA Schools’ teams. 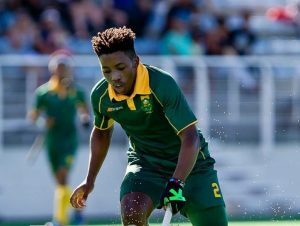 After a national hockey selection camp the team to play in the Hockey World League Semi Finals was announced. We are delighted to learn that Bili Ntuli (2014) has been chosen to represent South Africa. This event is a World Cup qualifying tournament and will be held in Johannesburg from 08 to 23 July 2017. Australia, Germany, Spain and Belgium among other countries, will take part. 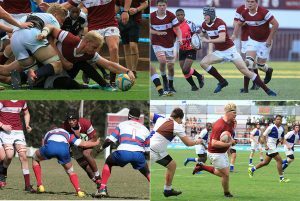 Congratulations to the Kearsney rugby players who were selected for various KZN rugby teams for 2017. 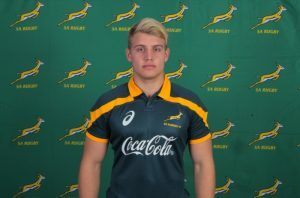 Following the inter-provincial tournaments, Kade Mindry was selected to the SA U17 Tennis team and Grade 8 pupil Luc Koenig who was selected for the SA U14 tennis team and as a reserve for SA U15. Congratulations on these excellent achievements.